Originally from the Chicago area, Rick has lived in or near Prague since 1998 with his wife and three daughters. He enjoys sports, researching American literature and literary theory, teaching, and spending time with his family. Rick holds a Ph.D. from Charles University in Prague, an M.A. in Literature and Theory from the University of Illinois, and an M.A. in the Teaching of English as a Foreign Language from the University of Reading in the UK. 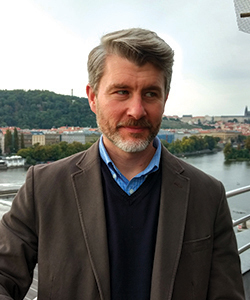 He has served as Academic Director at CIEE in Prague and Program Director of the MAE program as well as Academic Director at CERGE-EI in Prague. He has also been Assistant Professor at the University of South Bohemia. A native of Slovakia, Lenka spent a significant portion of her life living and studying in the U.S. Other travels have led her to explore much of Central and Western Europe, and she would love for her next personal adventure to take her to Thailand, Cambodia, Laos, and Vietnam. 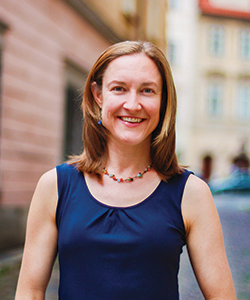 Lenka holds a doctorate in political science from the Ludwig-Maximilians-Universitaet in Munich, a master’s degree in Russian, East European, and Eurasian studies from Stanford University, and a bachelor’s degree in international relations and German studies from Lewis & Clark College. 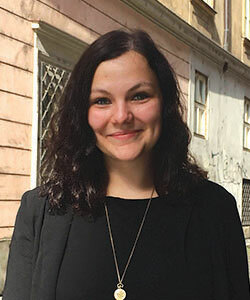 Lenka has worked as an assistant director and academic coordinator for a U.S. study abroad program in Munich, and as an academic director for international students in Prague. Originally from Virginia, Jessica has spent much of her life in Europe since studying abroad as a teenager. She has lived in England, Germany, Peru, and the Czech Republic. Jessica is fluent in Czech; she enjoys learning new languages, creative writing, and exploring the Czech Republic’s amazing forests. Jessica earned her B.A. degree from Nottingham Trent University in England. In the past, Jessica worked as a Program Manager for a study abroad program in Prague. Before that, she held a position as a Media Relations assistant for a large firm in the U.S. In Prague, she became a TEFL-qualified English teacher and taught for a large language school before becoming their TEFL Course Coordinator. Veronika manages the Housing Department and is responsible for leading staff in responding to concerns about apartments and in preparing apartments before arrival and after departure. Veronika handles the network of relationships with local landlords to get the best housing available along with the best service. She is therefore also responsible for financial issues as well as placing students in apartments. Veronika has had the opportunity to visit many countries, such as New Zealand, Canada, Costa Rica, Oman, U.A.E., South Africa and others. Apart from travelling and exploring, she likes running, cycling, and alpine skiing. Veronika gained her professional experience in the travel industry, having worked for international airline companies and travel agents within the sales, marketing, and customer care fields. 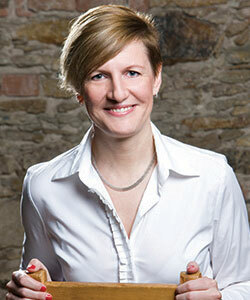 She has also developed her hospitality skills while running a small hotel in Prague. Veronika also participated in the Work & Travel program in the U.S. and lived in London for two years. 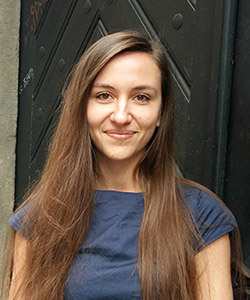 As a Custom Programs Manager, Radka helps propose, plan, and implement Custom Programs for Prague in cooperation with the Custom Program team at CEA headquarters and University Relations. 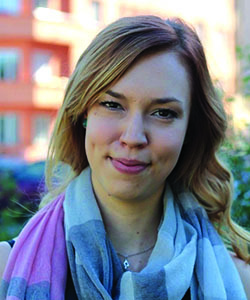 Each program is unique and Radka is responsible for aligning the cultural activities and student experiences to accord with the academic plan of the program. Radka is in contact with the university during the pre-arrival phase to help set expectations, coordinate logistics, and ensure a successful program. She is also the main contact for Custom Program students and faculty while they are in Prague. Radka lived and studied in Canada for four years. She likes to travel, explore new cultures, and meet new people from around the world. In her free time she prefers to spend her time with her family hiking, cycling, or swimming. She enjoys working with people. 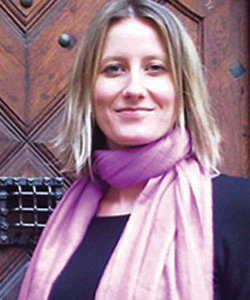 Before starting with CEA, Radka worked for travel agencies and as a tour guide in Spain. She also has experience from the corporate sector where she was employed as an HR assistant. As Program Administrator, Petra is responsible for the organization and coordination of student arrivals and organization of excursions. Internally she takes care of finance and together with the Center Director she manages the on-site budget. She is also responsible for office management and organizing Center events. Originally she comes from Slovakia but moved to the Czech Republic to study. She holds a B.A. degree in English Language and Literature and an M.A. degree in Culture Management, both from Masaryk University in Brno. During her studies, she participated in an exchange study program in Spain and an internship program in Germany. She also had the chance to take part in a summer course in New York City and later returned to the U.S. for a Work and Travel experience. She enjoys travelling and getting to know other countries and cultures. Additionally she likes yoga, hiking, and everything connected with culture and the arts. 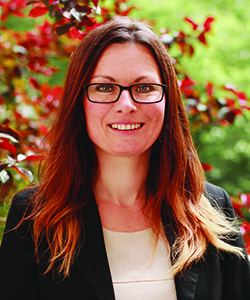 Natalie provides direct assistance to students and local landlords to resolve housing issues in a timely manner. Natalie also is integral to preparing apartments before arrival and after departure. She assists the Senior Housing Advisor as needed. As a humanities graduate, she loves to learn about new cultures and enjoys art of any sort. Natalie often visits galleries and multifunctional cultural spaces with a special interest in modern and abstract art. Natalie earned her B.A. degree in Humanities, Society, and Culture at Anglo-American University in Prague, where she is now continuing in the M.A. program. As a member of the Student Council, she has been actively involved in the development of a lively multi-cultural environment. Her primary responsibility is the management of various social and cultural events. Along with her studies, she worked as a PR Assistant and Social Media Manager. As Internship and Customs Programs Advisor, Pavlína contributes to two agendas at CEA Prague: the internship program and custom programs. In the internship program, Pavlina works with CEA students and local host sites to ensure the most effective internship placements. For Custom Programs, she helps to implement activities and excursions and provides support to students and faculty onsite. Pavlína graduated from Leiden University in the Hague with a B.A. degree in International Studies and a specialization in East Asia. During her studies she spent a semester abroad studying at Peking University in China, and she also spent some time in Taiwan and India through exchange and volunteering programs. She has been involved with different student organizations and NGOs, focused mainly on community outreach and human rights. Pavlína is passionate about traveling, learning new languages, music, yoga, and exploring nature and hiking. As Internship Program Manager, Martin maintains a network of host sites where CEA students can complete internships. He counsels students before the program begins to best match interns and placements. He also provides support and guidance to student interns on site. Martin is passionate about psychology and philosophy, community development, education and facilitation, languages, and foreign cultures. He is a curious learner, explorer, swimmer, runner, hiker, yoga and mindfulness practitioner and also a relentless backpacker. Martin is not an artistic soul but likes to sometimes play ukulele or dance salsa. He holds a master’s degree in International Human Resource Management from the University of Strathclyde in Glasgow. 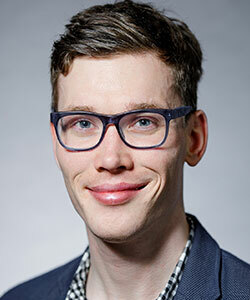 During his studies, Martin completed two internships in Russia and Taiwan, where he was facilitating cross-cultural intelligence workshops. He taught himself Spanish while backpacking in South America. Martin has held various HR positions in the corporate sector. His work assignments were in the UK, Germany, and the Czech Republic. He has been involved in various NGOs and worked as a camp counselor at summer camps in the UK and Czech Republic. 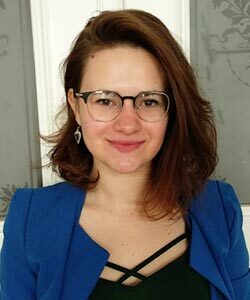 Hana serves as Student Services Advisor in Prague. Hana is on the “front line” answering student questions and helping students with any concerns. She also manages student information in databases and systems. She organizes activities, manages the Czech Republic visa process for students, and organizes Orientation each term. These responsibilities include regular and proactive communication with students. Hana has an MA degree in the Teaching of English to Speakers of Other Languages from King’s College London, where she studied for one year. She spent an additional year in England before this on a study abroad program in Norwich and an internship in London where she was teaching children. She brings her value of education to CEA Prague’s student services, which is squarely in line with our goal to make every aspect of a student’s study abroad experience a learning experience. Hana is originally from the South Bohemian region in the Czech Republic but also studied in Olomouc in Moravia.